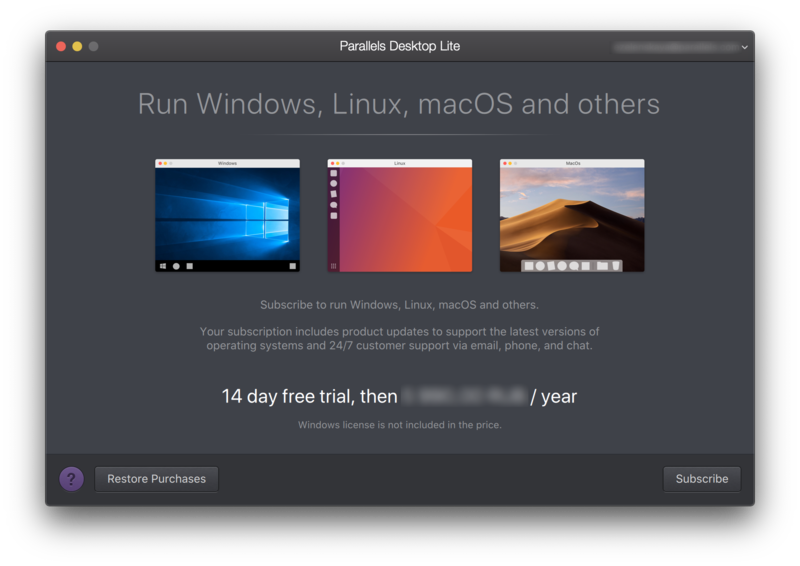 A trial Parallels Desktop Lite copy allows you to run the application for 14 days. The period cannot be extended. Note: Windows is not included. We strongly recommend to get a Windows copy before you start the Parallels Desktop Lite trial period. 1. Install Parallels Desktop Lite. 2. Start Parallels Desktop. 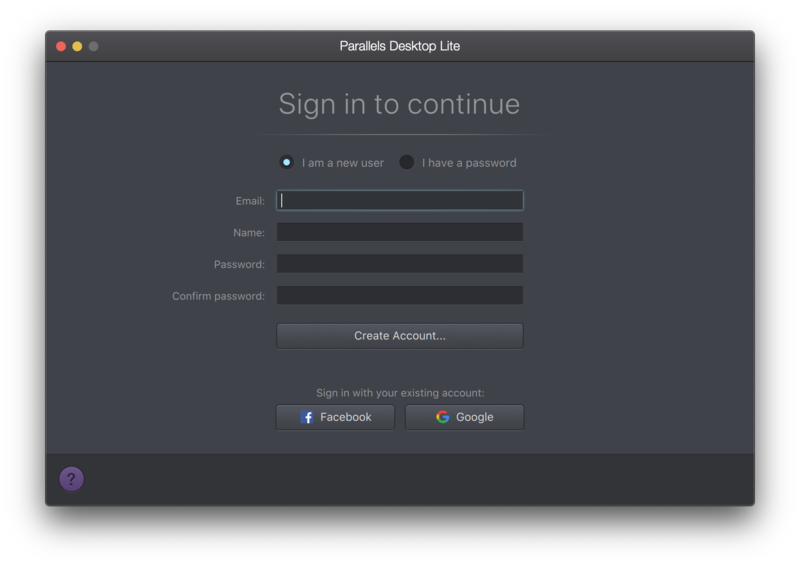 You will see a registration window and will need to create a Parallels account or sign in to an existing one. 3. Then click on Subscribe. 4. 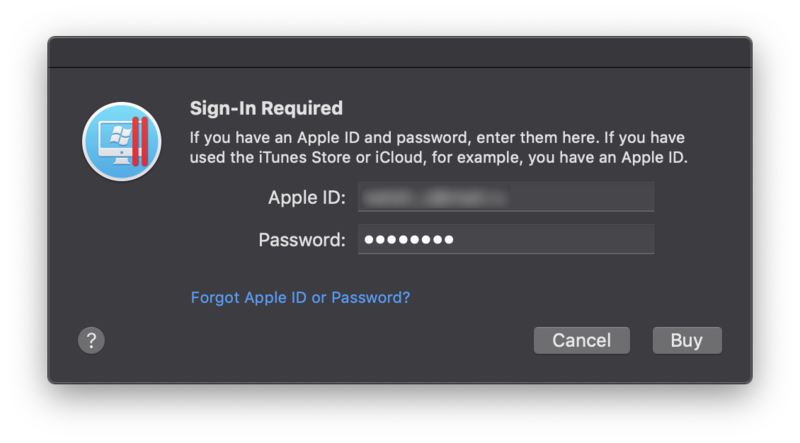 Sign-in with your Apple ID and click Buy. 5. 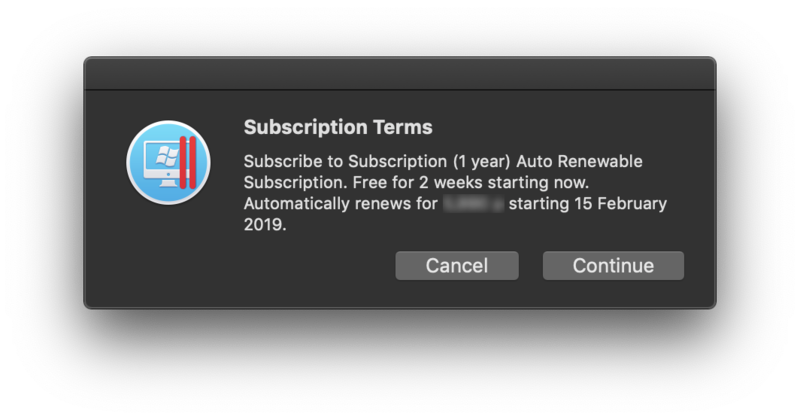 Then you will see the Subscription Terms window informing you on the free 2-weeks trial period and auto-renewal which will follow. Click Continue. 6. Confirm the subscription once again to start the trial period. Note: You can purchase Parallels Desktop Lite at any time during your trial period. You will not have to reinstall Parallels Desktop or your virtual machine to start using a commercial version of the software.